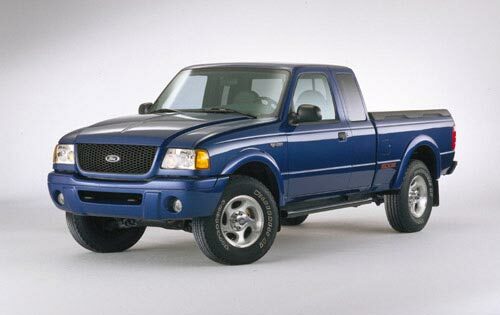 The Edge appeared in 2001 and offered a 2WD Ranger that had the ride height of a 4×4 Ranger. In 2006, Ford switched from using the Edge name to using ‘Sport’. In 2007, ‘Edge’ became a vehicle all in itself as a Ford midsize crossover SUV. Mid-model-life face lifts are routine in the car business. You know, after the initial showroom novelty has worn off, the company goes back and makes some alterations. Maybe they add a body-color grille, put on some new wheels, and slap on an interior treatment — anything that doesn’t much alter the overall mechanical architecture. 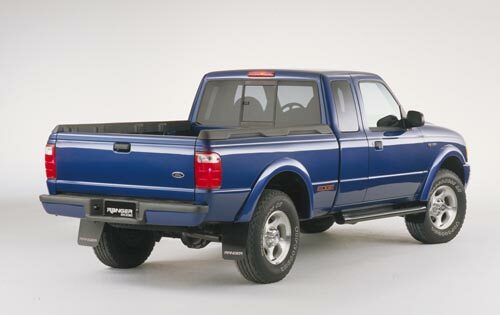 Ford’s freshening of the 2001 Ranger is one of the farthest-ranging exercises of the type. Most notable is the scrapping of the wimpy Splash name and replacing it with Edge. On this model, a pronounced power bulge on the hood — necessary anyway for an optional 4.0-liter SOHC V-6 engine made available for 2001 (last year’s 4.0-liter V-6 used pushrods) — is teamed with a black honeycomb grille and body-color front bumper with incorporated push pads and driving lights. The result is a new snarling face aimed at younger truck buyers. Ride height on Edge Rangers is the same higher 4×4 configuration regardless if the Ranger is a 2WD or 4×4. The Edge also gets a molded bed rail; an easily cleaned vinyl floor interior; a 60-watt, four-speaker, CD-player stereo system; and 15-inch wheels and 235/75R-15 tires. Also, the familiar 3.0-liter V-6 pushrod engine with five-speed manual transmission comes as standard equipment. Edge Rangers slot between the base model XL — powered in standard form by a 2.5-liter in-line four — and the high-trim-level XLT series. Air conditioning, cloth/vinyl slit bench seat, rear jump seats (SuperCab), AM/FM/CD player. Color-keyed bumpers, fog lights, wheel lip moldings (Styleside), bed rail covers. Front tow hooks, Class III Trailer Tow Pkg., raised ride height, 235/75R15 all-terrain white-letter tires, 4WD models add: 4-wheel drive, 2-speed transfer case, sliding rear window. Tilt steering wheel, cruise control, AM/FM w/in-dash 6-disc CD player. Alloy wheels, 4WD models add: 4-wheel drive, 2-speed transfer case, 5-speed automatic transmission, step bars (Flareside), 245/75R16 all-terrain white-letter tires. 4.0-liter V6 engine, 5-speed manual transmission, 4-wheel drive, 2-speed transfer case. Power mirrors, power windows, power door locks, remote keyless entry. Sliding rear window, step bars. Q – So why is it when you are shopping for 2WD suspension kits, they list kits for a 2WD and a 2WD edge? What’s the difference? A – The 1998-2009 Ford Ranger 2WD uses a coil spring A-arm front suspension. The 2001-2005 Ford Ranger 2WD Edge has a torsion bar A-arm front suspension. Remember, the 2WD edge has the same ride height as a 4×4 Ranger which is higher than a normal 2WD Ranger. 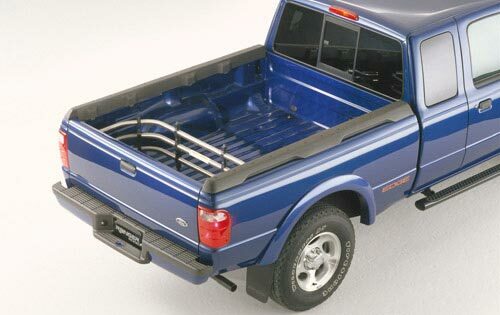 The 2WD Edge uses a similar torsion bar a-arm front suspension as the 1998-2009 Ford Ranger 4×4’s.